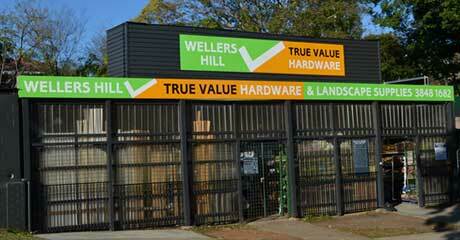 If value for money, quality, great service and good advice are what you are looking for then Wellers Hill Hardware & Landscape Supplies is the place to visit. Being part of the True Value / Mitre 10 group means we can offer quality branded hardware at a good price with service that only comes with an owner operator business. It is currently run by brothers Paul and Gerard Lenarduzzi who live locally and have half a century of building and landscape gardening experience between them. The drive through yard means you can pick up sleepers, sand, cement, soil and much more in the middle of Tarragindi or you can have it delivered anywhere in Brisbane from our offsite holding yards. 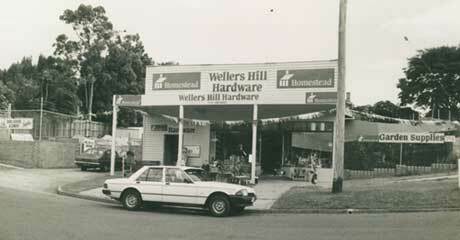 As a member of the largest group of independent owners in the hardware industry in Australia, it means that while the store is packed with a range of products that will get the job done in nearly all situations, we can order in products at competitive prices very quickly.” If we don’t have it we are more than happy to get it in” Customers can also take advantage of excellent prices and a comprehensive range by ordering online at www.shop.mitre10.com.au to get free delivery to our store.